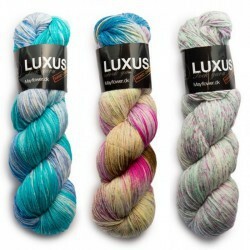 Colour changing yarn is very popular for bringing that extra splash of colour to your project. 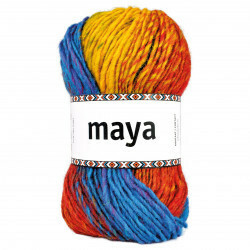 Colour changing yarn is available in a multitude of weights, characteristics, qualities, fibres, and colour combinations. 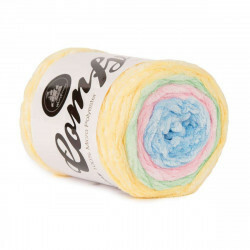 In our shop you will find cotton as well as wool, blends, acrylics, polyamide, nylon, bamboo and polyester - all with beautiful colour changes. 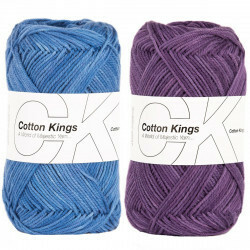 We are confident that our range of colour changing yarn will cater to any taste and any crocheting or knitting project. 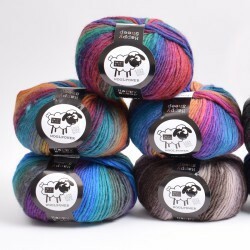 The wonderful thing about colour changing yarn, is that you are guaranteed to get a colour variegated result, that is bound to spice up any project. 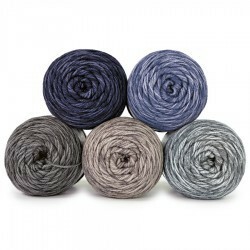 All you need to do is decide which one is best suited for whatever you fancy knitting or crocheting. 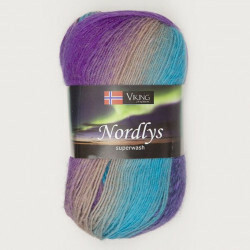 Naturally, it is a matter of personal taste, if you like synthetic yarn or not, but luckily (as mentioned before) we offer a wide range of colour changing yarns to choose from. 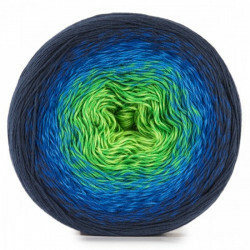 This also means that we offer different yarns with both long and short colour changes, that will each bring a unique and amazing look to your project. 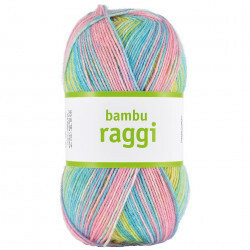 Try using a colour changing yarn made of 100% cotton for adding a splash of colour and pattern to your dishcloths, amigurumi, garments, hot mitts, and the like. 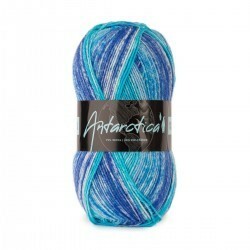 Or make lovely shawls, hats, gloves and tops with colour changing yarn made from wool or acrylic fibre. 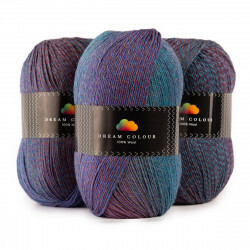 Naturally, the colour changing yarn can also be used for making stunning afghans and toasty socks in delicious variegated shades. 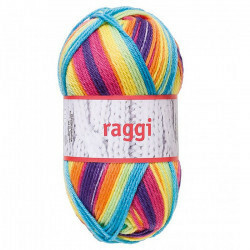 Making socks out of colour changing yarns have particularly gained popularity, because it really gives you the opportunity to put your own mark on the socks. 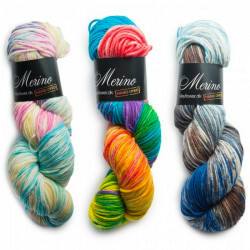 This way, colour changing yarn can be used for a multitude of projects - only limited by your own imagination. 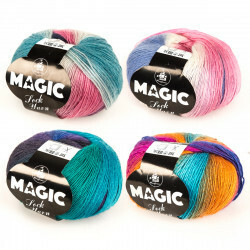 Here at Hobbii.com we want to be among the best and fastest in terms of delivery of colour changing yarn and yarn accessories. 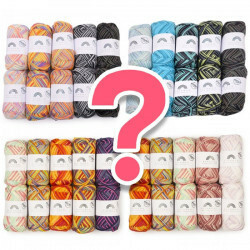 Which is why you will always receive your order within three working days of placing your order online. We take pride in our high level of customer services, and you are always welcome to give us a call, if you have any questions about any of our products. 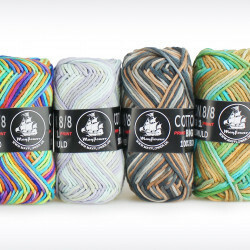 You always have the right to return any order placed at our webshop. 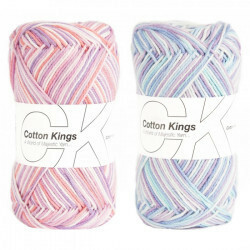 Please do not hesitate to contact us, if you have questions regarding our colour changing yarn or you if need help placing an order. You can reach us by filling out the contact form, and we will get back to you as soon as possible. You call also call us at tel.no. +45 31 86 33 57 or email us at support@hobbii.com. 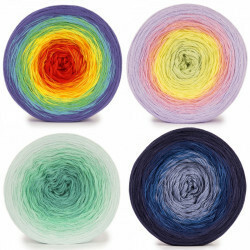 We look forward to welcoming you as a customer in our shop.